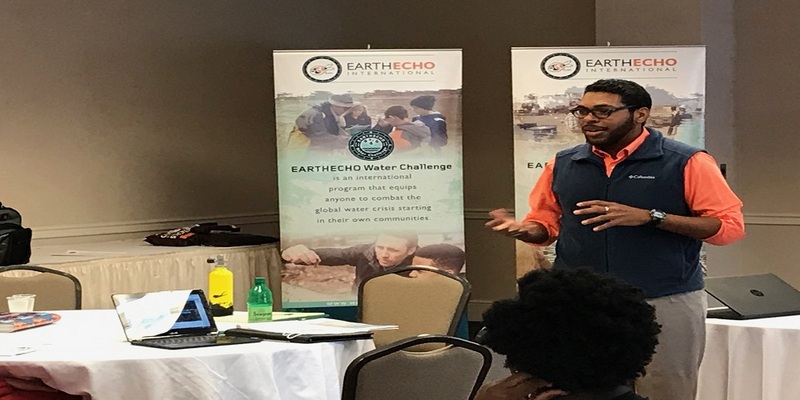 On August 2nd-4th, I joined the inaugural class of EarthEcho Water Challenge Ambassadors and EarthEcho’s Youth Leadership Council for our Youth Leadership Summit and Training in Washington D.C. During my time in D.C. with EarthEcho, I was able to participate in valuable informational sessions on topics ranging from developing communication skills to campaign marketing. My peers and I were truly grateful to have such an invaluable opportunity to learn from and converse with experts in the specific fields of interest. We were all exposed to ideas and insight on the world around us through the lens of environmentalists, naturalists, and preservationists who helped us understand the severity of environmental issues and importance of a clean Earth. In addition to practicing the skills we learned through the training, this event gave us an opportunity to begin constructing our plans for our World Water Monitoring Day events. Our individual ideas were all given personal attention in order to create and organize a well-developed action plan for our World Water Monitoring Day events. These events are designed to engage our local community members in water quality monitoring efforts through the EarthEcho Water Challenge. After a lot of hard work participating in breakout sessions and workshops, we were also able to enjoy the beautiful scenery of Washington DC. We were given the opportunity to embark on amazing tours and sightseeing trips which aided in team building and allowed our group, who came together from across the world, to find common ground and network. Overall, the training in Washington was worth every second and definitely helped prepare us for our work in helping our earth become more sustainable for a better tomorrow.